Pristine and 4 Years Young Van Metre Townhome! You won’t find another home with as much pride of ownership as 42346 Benfold Square. The owners have meticulously maintained the home and it shows like a model. 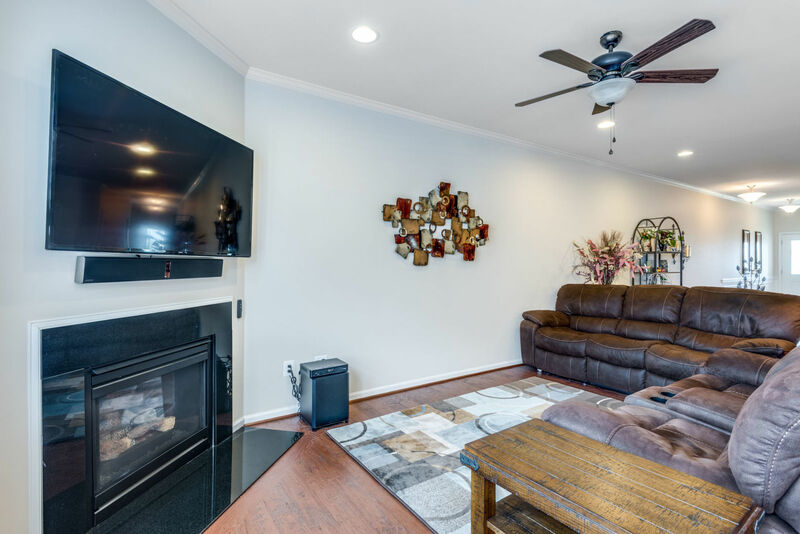 The phenomenal open floorplan with over 2,100 square awaits you. 42346 Benfold Square was built in 2014 by Van Metre and features 2 levels, 3 bedrooms, 2 full baths, and 1 half bath. 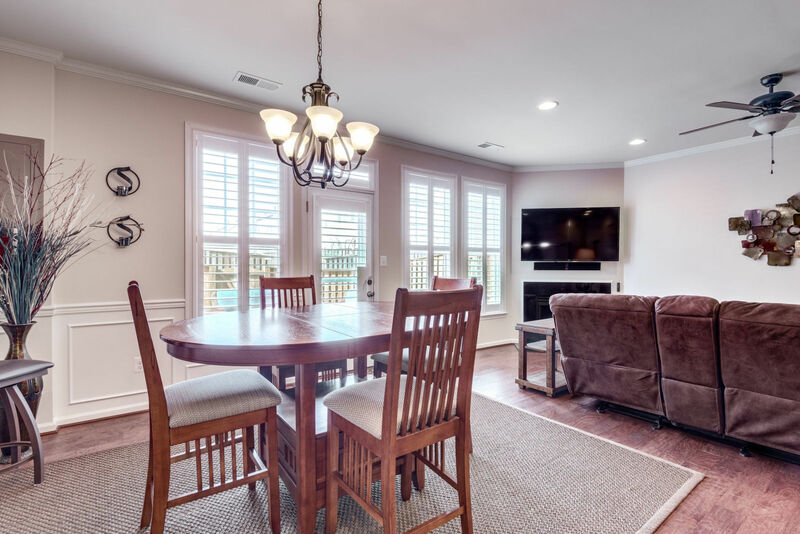 You’re greeted with upgraded 5” hickory engineered hardwood floors on the main level. 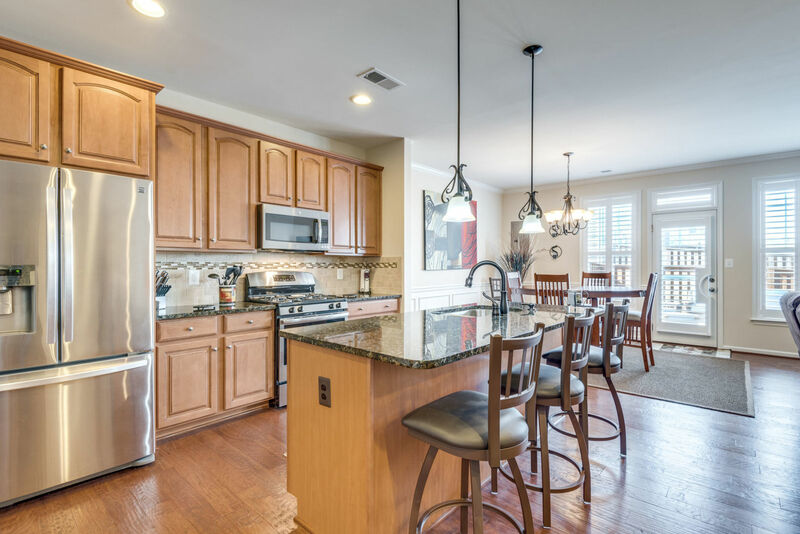 Entertain guests in the open kitchen with upgraded appliances, granite, backsplash, and a center island. The upgraded maple cabinets offer plentiful storage. Relax in the great room with the gas fireplace featuring granite surround. The ceiling fan, recessed lighting and crown molding add the perfect accents to the main level. 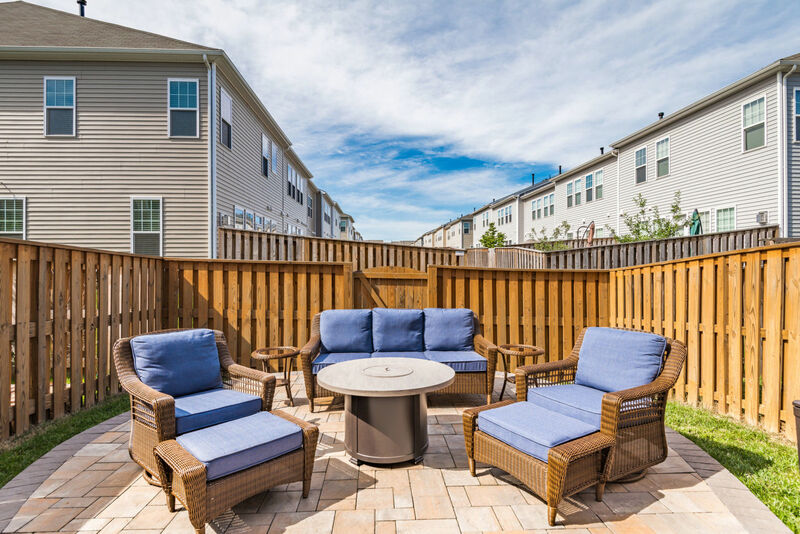 Step out into the fully fenced backyard with a patio and enjoy the outdoors. 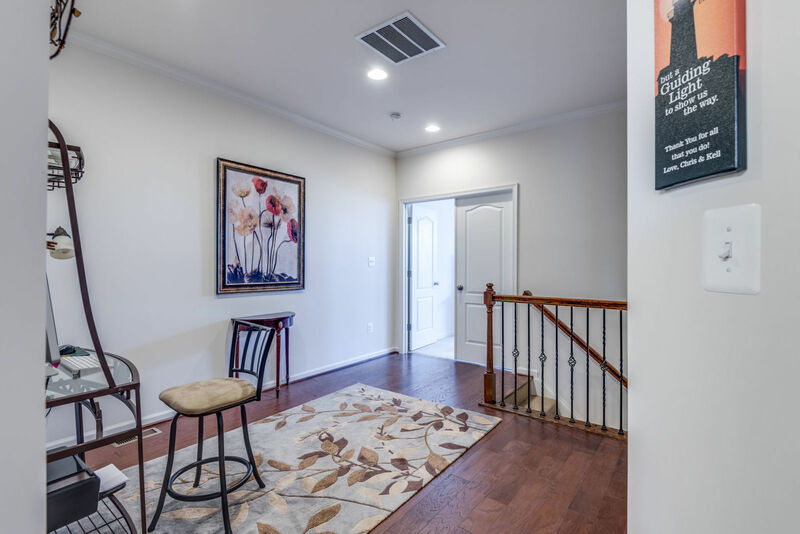 As you walk up to the upper level you’ll find additional upgraded 5” hickory engineered hardwood flooring in the hall with a retreat area that’s perfect for an office. The laundry room is located off the retreat – nothing more convenient than upper-level laundry! 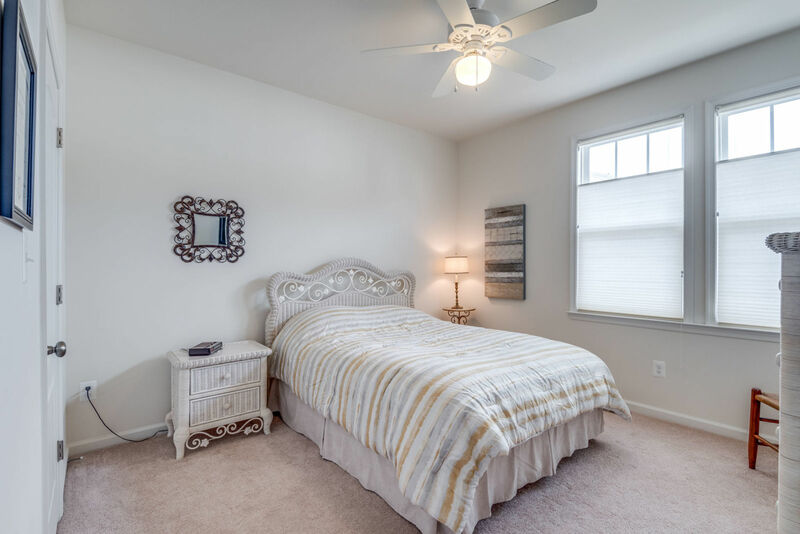 The exceptionally large master suite is located on the right as you come up the stairs and in addition to the generous space boasts 2 walk-in closets. 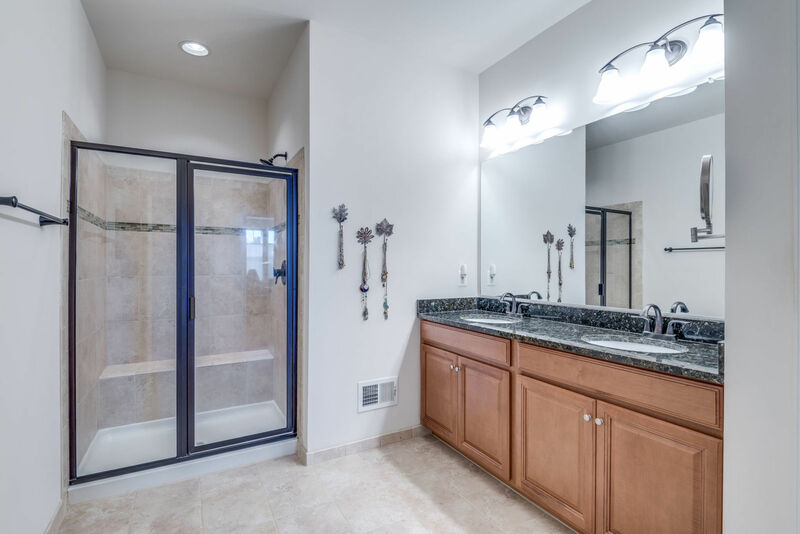 Upgraded tile, dual vanities with a granite top, and a large shower await you in the master bathroom. On the opposite side of the retreat are two additional bedrooms and a full bath. 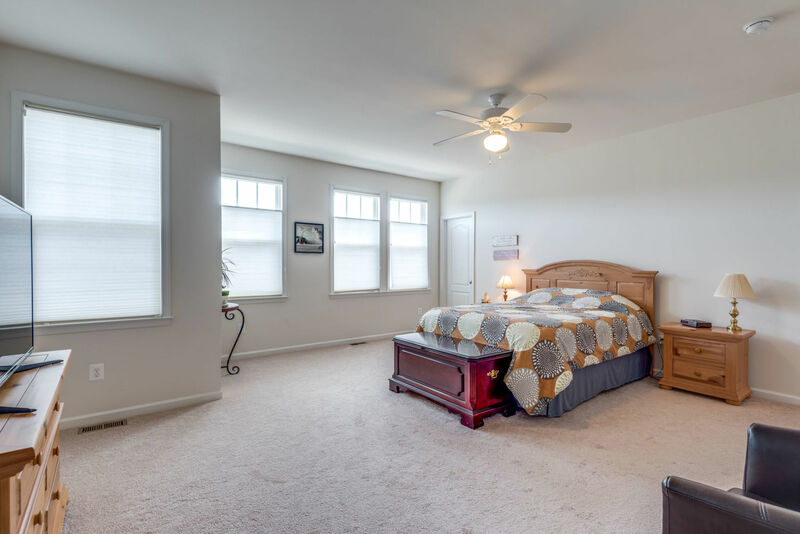 Both bedrooms are well sized and have ample hanging space in the closets. 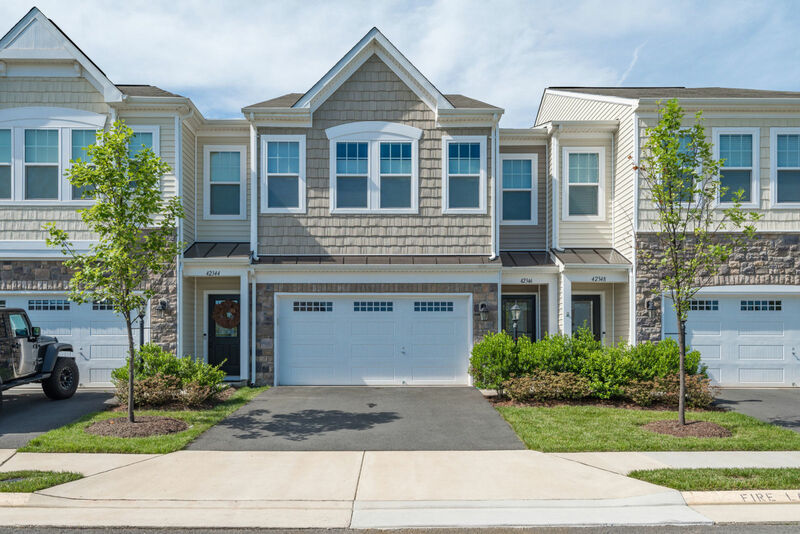 Enjoy all that the Brambleton lifestyle offers- outdoor pools, parks, community center, fitness center, clubhouse, sports courts, and tot lots. High-speed internet and cable are included in the HOA fee. 42346 Benfold Square is also located within minutes to the future Silver Line Metro. To learn more about this outstanding home or schedule a private tour contact Amanda Davidson Real Estate Group today, 703-988-1711 or info@amandadavidson.com.